Zero emissions + zero traffic deaths: that is ZF’s formula for the future. The supplier from Friedrichshafen has signed up to the multinational road safety project “Vision Zero” and expanded it with numerous products to also cover the environmental aspect. 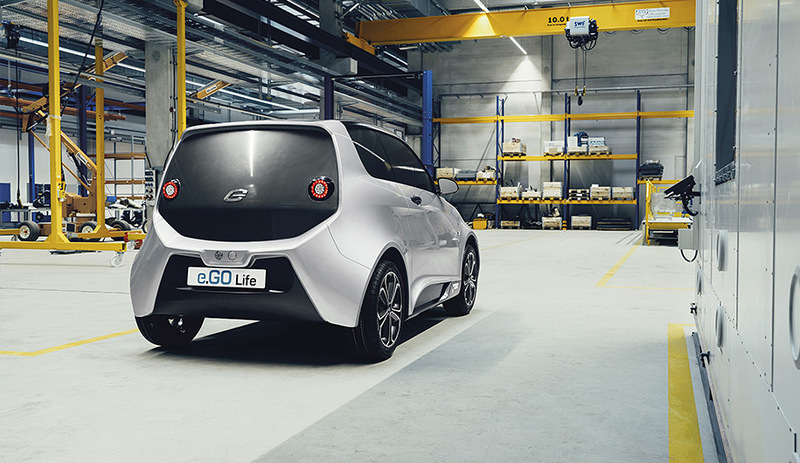 Besides a large portfolio of active and passive safety technologies, the group’s engineers are at the same time also working on systems for local emission-free driving. The further development of autonomous driving is intended above all to prevent road traffic accidents caused by human error – which is after all 90 percent. And systems to monitor the driver should be effective here too. Systems like “Wrong Way Inhibit”, which uses detailed maps, frontal cameras, traffic signs and road markings to recognise the dangerous situation of a car travelling the wrong way on a motorway and if necessary prevents the driver from performing dangerous manoeuvres. Or the “Driver Distraction Assist” technology, which uses a laser-based adaptive interior camera to monitor the position of the driver’s head and recognises when he or she is distracted from what is happening on the road. ZF has recognised the need for comfort in the increasingly autonomous drive car and is fitting the active shock-absorbing system “sMOTION” to every bumper with a motor pump unit. The intelligent control chassis can generate forces to offset the piston rod movement and actively counter potholes and road bumps. Another system working towards comfort and efficiency is “eLEVEL”, which adjusts the height of the vehicle seamlessly at the touch of a button. The car can be raised for getting in and out and lowered for fast driving. The circle of the zero is completed by the electro-rod “mSTARS” which can already be fitted to series models. The electric axle drive system with a power of 150 kW promises to make development of electric and hybrid vehicles more economic.